Wouldn’t it be great if shortly after listing your home for sale, a qualified buyer came along with an offer? Can you imagine? With luck like that you’d have zero stress during your military move! If you’re looking for answers, try these ideas when your house simply won’t sell. If you’re currently working with a real estate agent, get in touch and have a thorough discussion. Work to find a solution to the problem of why your house hasn’t sold. Be available. Share the best way for your agent to contact you. When your agent reaches out, respond in a timely manner. Find the best avenue to maintain regular contact, especially for updates after showings. Make this sale your priority. Both you and your agent can become busy doing other things. Instead, focus your attention on what it will take to sell your home. After all, your agent is your go-to point of contact in this situation. You’ll need to continue to build an honest and respectful relationship. Having open lines of communication is a big part of moving forward in the home sale process. 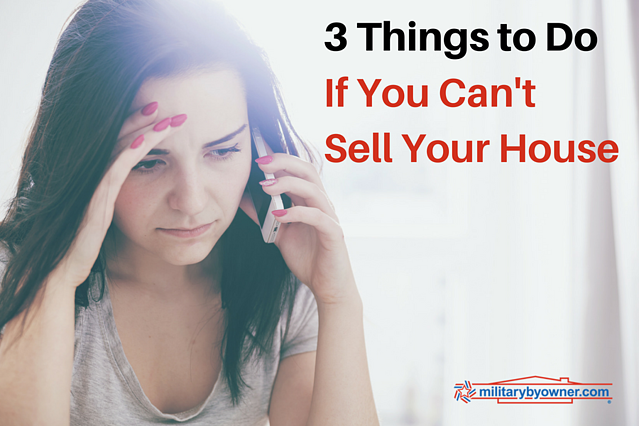 When a home shopper is scrolling through the MilitaryByOwner listings from the comforts of their couch, you’ll hope your ad catches their eye. From that moment, you’ll want to intrigue them, inspiring them to get up from their couch and make plans to see your property in person! After creating a stellar listing, your agent should be stirring interest and networking your house on as many channels as possible. Have you set a realistic price for your home? No matter who represents you, if your home doesn’t have the right price, your waiting game will continue. For instance, prior to listing his home For Sale By Owner, my friend Matt added an abundance of kitchen upgrades. He set a price with his renovation expenses in mind. Sadly, several months had gone by without any serious inquiries. Due to the timing of an upcoming PCS, he opted to hire a real estate professional for help. The first thing that the agent said was, “Let’s analyze the local market and price this home accordingly.” Looking beyond his own address to the inventory in his neighborhood, Matt’s agent changed the listing to reflect a competitive price. He ended up with an offer in a few short weeks! If you’ve been trying your best with a For Sale By Owner and are feeling a little frustrated, take a look at this complimentary home selling ebook for guidance. As mentioned in the ebook, the home selling market will dictate how to price your home rather than going with what you think it should be worth. 3) Consider renting it out. If you don’t feel like you’ll get a proper offer for your home, you could always keep the house and rent it out. If you decide to go this route, you’ve now branched into another level of homeownership and become a landlord. 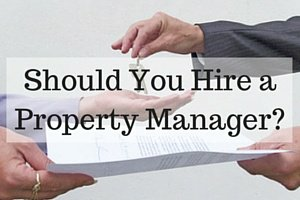 When taking on the role of a landlord, your perspective needs to be the same as running an efficient business. Keep all of the details organized, treat everyone involved with respect, and place a high level of importance on any needs that come up. After a tenant moves in, it’s often difficult to show a home to a potential buyer. If you find a renter for a year, you’re obligated to honor the terms of the year-long lease. You could offer a tenant the right to buy your house in the years ahead with a rent to own option. If you're offering your house for sale and rent at the same time, you'll need to disclose the important details. For example, tell a potential renter of your plans to sell and explain the status of your lease to a potential buyer. If your home hasn’t had a taker yet, don’t become discouraged. If the house has a realistic price, is in an ideal location, and shows easily, you stand a better chance of a motivated buyer placing an offer. In the meantime, dig deep for extra patience as you prepare to PCS. Good things are up ahead with your home sale, even if it takes awhile to get there.